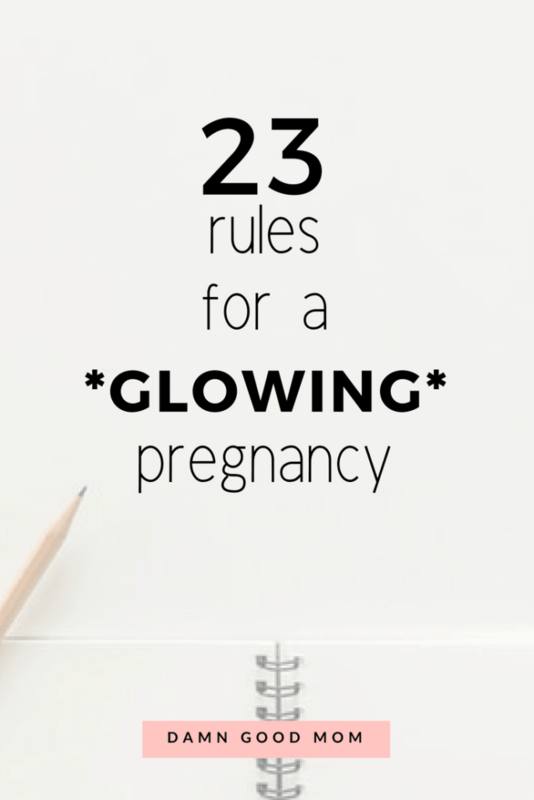 If you want to have a glowing pregnancy that is powered by good energy and health, these rules are for you. A pregnancy that glows is possible it just requires that you take care of yourself from the inside out. I have a few helpful rules you can follow that may help. 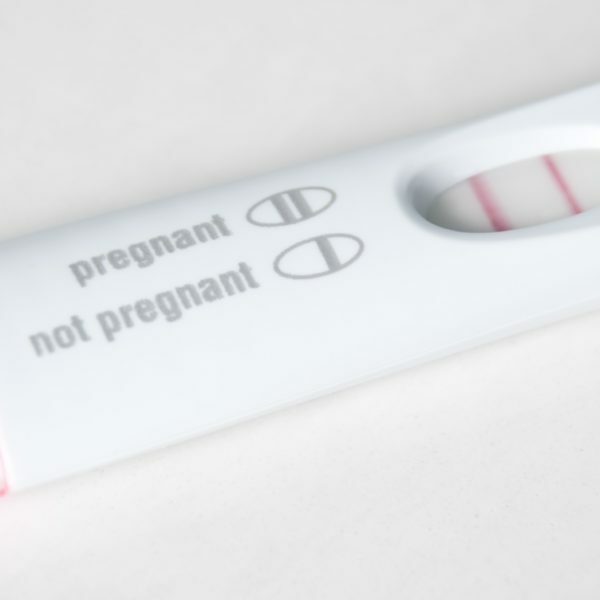 Just like before you were pregnant, stress can have a negative effect on your mind and body. Now that you are pregnant it is extremely important to eliminate all stressors for the health and well-being of your baby. I believe in the power of self-care wholeheartedly. The term gets used so often and you may be thinking that it requires meditating on a mat or walks through the woods (it can be). Self-care is doing what you need to do have contentment in your mind and body. If that’s a trip to the nail salon, so be it. If that is a relaxing bath with essential oils, make it happen. You deserve to feel good, I mean you are growing a human! Consuming alcohol can introduce the possibility of a baby having Fetal Alcohol Syndrome. It’s not worth it. It may seem like forever but nine months will be here sooner than you think and you can get back to your drinks of choice (if you aren’t breastfeeding, of course). RULE 4. REST AS OFTEN AS NEEDED. If you are working, nesting, and just trying to get everything in place for a new baby, I get it. But, free time after the baby is limited. Take the time you need to rest. Your body will appreciate you for sitting down and relaxing whenever you get the chance. RULE 5. PARTICIPATE IN DOCTOR APPROVED EXERCISE. Unless your doctor has you on bed rest, you don’t have to spend all your time sitting, just because you are pregnant. I wouldn’t try to run a marathon but low-intensity workouts like walking and yoga worked great for keeping me moving during my pregnancy. I will even dare to say, staying physically fit in my pregnancy helped me have a natural birth. If you are unsure about any physical activity, be sure to ask your medical provider for approval. RULE 6. DRINK TONS OF WATER. I carried a water bottle with me everywhere while I was pregnant. Drinking water helps you to stay hydrated, it helps your baby who is living in a sack of water and benefiting from the nutrients you are eating that are delivered throughout the body via water. Many women experience cravings for foods that aren’t particularly healthy. My cravings were salty pickles and Gatorade (weird, I know). I indulged a bit but my overall diet consisted of lots of fruits, grains, and veggies. I wrote a post on foods that support a healthy pregnancy, if you have a moment, check it out. RULE 8. TAKE A QUALITY PRENATAL VITAMIN. I’m that girl that was never comfortable swallowing pills. I’d try and it would take me forever. The film of the pill would get all over my tongue and it was just yuck. To avoid the mess, I started my pregnancy journey with gummies, but when I learned they were lacking some vitamins and minerals I switched to a pill that was manageable. Do some research before choosing a prenatal vitamin; expensive doesn’t always mean better quality. RULE 9. MOISTURIZE LIKE CRAZY. I worried about stretch marks in the beginning of my pregnancy, then I finally said ‘whatever’. Growing a human requires some stretching and instead of worrying, I doubled down on my moisture routine. I was moisturizing day and night from the inside out. My products of choice were all natural and included almond oil, coconut oil, shea butter, and aloe gel. I came out on the other side of with a few stretch marks, that all appeared on my sides in my third trimester. Don’t worry about things you can’t change, just moisturize and love your body for the work it’s doing. RULE 10. TAKE CARE OF YOUR SKIN, HAIR, & GUMS. Unfortunately, the glow up doesn’t last postpartum, so have a routine in place that helps you continue caring for yourself. P.S. The postpartum shed is no joke. If you have tips, let me know, please. RULE 11. TAKE PHOTOS OF YOUR GROWING BUMP. At first, I didn’t want to take pregnancy photos but I’m glad I did. Looking back now, I get to see just how big and beautiful I was with my baby. There are lots of ways to capture your growing belly, try to be creative. Also if you are into doing a maternity shoot, book your session early. RULE 12. DO A MASSIVE PURGE AND DECLUTTER OF YOUR SPACE. I like things minimal and I kinda went a step beyond just nesting. I cleared out entire rooms and decluttered like stuff was going out of style. If you decide to do the same, I think you’ll appreciate the organization and space that you’ll have before the baby tornado that is soon to happen. RULE 13. HAVE FUN WITH DESIGNING A NURSERY. Designing a nursery can be fun and it doesn’t need to be pricey. Design a nursery on a budget and don’t be afraid to use your imagination. The only thing I was against was an overly pink princess theme. I had seen them everywhere and the jury is still out on how I feel about most princess stories. RULE 14. TELL STRANGERS NOT TO TOUCH YOUR BUMP WITHOUT ASKING. Pregnancy seems to make people women happy. Women who would never strike a conversation with you, all of a sudden want to know when you are having your baby, if it’s a boy or girl, and if they can touch your bump. Whoa! If you don’t mind, let the rubbing commence. If you do mind, respectfully decline all touching. It’s crazy how big your chest can grow during pregnancy. Everyone focuses on belly stretching, be prepared for breast stretching too. To keep things in place, I wore supportive bras without underwires ALL THE TIME. To date, I still haven’t been in a bra with an unwire since my pre-baby days. It’s great. I wear sports bras, seamless bras, and bralettes. I have never had a large cup size (except during engorgement), so not having support isn’t an issue. I’m all about comfort these days and recommend every woman try a life without underwires. RULE 16. TAKE PRENATAL & BABY CLASSES. I took a few classes before during my pregnancy and they really did help. I wish I had taken a breastfeeding course because I struggled with latching and low milk supply. As a result, in the early days, I was pumping around the clock. Just because something is natural, it doesn’t make it easy. If you are planning to breastfeed, I highly recommend doing a bit of learning beforehand. Lactation consultants are available for help too. RULE 17. PREP FOR MATERNITY LEAVE. Whether you work from home or in a traditional workspace, please save yourself some stress and plan for maternity leave early. If you have a job, there is paperwork and a procedure to follow for ensuring your benefits and in place. If you are self-employed, you will want to get sorted how long you want to be off and what needs to be done in your absence (like massive automating or transfer of responsibilities). RULE 18. CREATE A BABY BUDGET. Creating a budget changed my life. I believe in the power of budgeting and planning for having control over your finances. Adding a baby to your budget may seem overwhelming but it doesn’t need to be. There are free resources that can help, like my post on budgeting for a new baby. RULE 19. GO OUT TO MOVIES AND DINNER DATES. Yes. Enjoy the time you have to do the things you enjoy. Post-pregnancy, it took my husband and me more than a year to get an outing to the movies and dinner dates were a bit less romantic because there was always a baby to tend to. Move the candle, we need space for the bottles and toys! RULE 20. CONTINUE TO BE SOCIAL. Pregnancy is not a reason to stick your head in the sand. Be social and connect. I found that classes were a great place to meet women that were pregnant and empathetic to my tender breasts and round ligament pain. 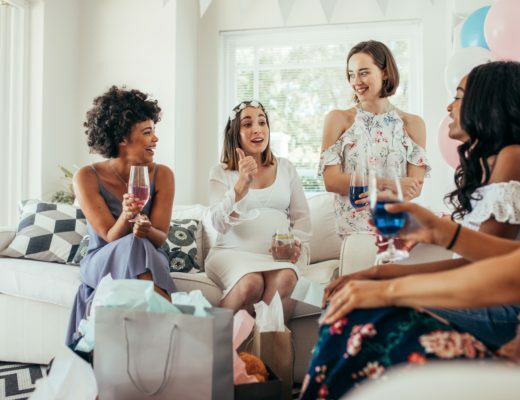 If you are tired of talking about pregnancy, check out other events like food truck rodeos, stage theater, and book clubs. RULE 21. MAKE NEW MOM FRIENDS. Let me tell you, the early days of motherhood when you are on leave from work or transitioning to be a stay-at-home-mom can be lonely. Your friends are at work, your partner is at work, and conversations with your baby aren’t headed anywhere. Find mom friends who understand and find ways to be less isolated in motherhood. RULE 22. BELIEVE YOU ARE STRONG AND CAPABLE TO DELIVER A SWEET BABY. Set your mind up for birth with positivity and belief in yourself. Our bodies are amazing. Even today I’m in awe of how I grew my baby, carried her for months inside of me, pushed her out, and have very little evidence on my body that anything happened. My body repaired itself (even after an awful tear). You are stronger than you think, very capable, and qualified for your birth. You got this! RULE 23. BASK IN THE PREGNANCY GLOW. 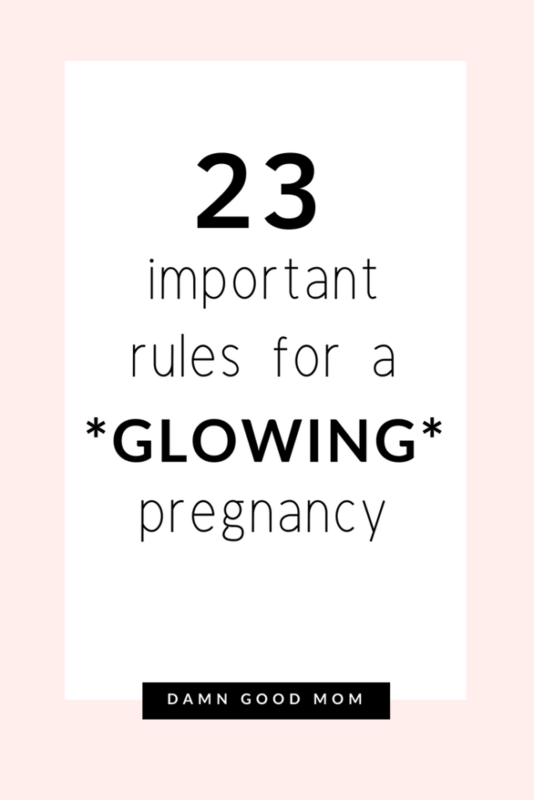 If you are a pregnant mama, I hope this list helps you have a glowing pregnancy. If you are already a mom and think I forgot to add an important rule to the list, comment below. 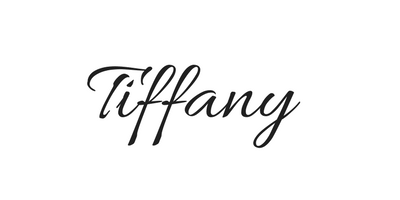 Be sure to follow along on Pinterest for more pregnancy and new mom content.